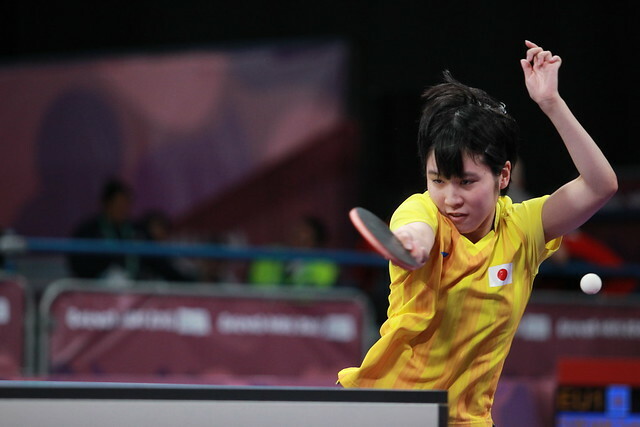 Gold medallist at the Athens 2004 Olympic Games, Korea’s Ryu Seungmin and three times Olympian Spain’s Galia Dvorak, have been named the Table Tennis Athlete Role Models for the forthcoming Buenos Aires 2018 Youth Olympic Games. Inspiring and mentoring young table tennis athletes through educational activities and workshops at the Games are the tasks of Ryu Seungmin and Galia Dvorak, offering advice on areas such as skills development, healthy lifestyle and future careers. Notably in addition to winning the Men’s Singles title in Athens, Ryu Seungmin was a member of the Korean outfit that won bronze in the Men’s Team event in Beijing in 2008 and four years later silver in London. Recently, at the Rio 2016 Olympic Games, Ryu Seungmin was elected a member of the IOC Athletes Commission. Both Galia Dvorak and Ryu Seungmin will be accessible to the athletes both in the Youth Olympic Village and in the competition venue.